U.S. commercial crude oil inventories declined by 14.5 million barrels during the week ending on September 2nd, according to the Energy Information Administration’s latest report. 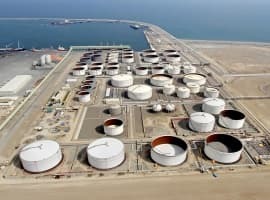 The American Petroleum Institute (API) report on domestic inventories anticipated a 12 million barrel draw in crude supplies, against expert predictions that inventories would increase by 905,000 barrels. ZeroHedge surmised that the massive decrease - the largest since January 1999 - occurred due to production shut-ins in the Gulf of Mexico caused by Tropical Storm Hermine. The temporary nature of weather events could mean the oil price spike caused by the draw will not be staying for long. National crude inventories currently stand at “historically high levels for this time of year” at 511.4 million barrels, the report stated. Gasoline inventories also fell further than the API report had predicted. Instead of a 2.388 million barrel draw, supplies decreased by 4.2 million barrels. Distillates rose by 3.4 million barrels - almost four times more than API forecasted on Wednesday. West Texas Intermediate traded at $47.31 a barrel at the time of this article’s writing, while Brent traded at $49.81. Obviously, looking at EIA data for production and imports (Data 2), the drawdown is only 200K for reduced production, but 12 million for reduced IMPORTS. The weather explanation is probably still correct, shippers wanted to avoid Hermine, but production was not significantly decreased at all.